Mangaluru, May 30, 2017: The Dakshina Kannada Zilla Panchayat has begun filing complaints against persons with appropriate government authorities to control the menace in connection with roadside garbage dumpers. Munnur GP in Mangaluru taluk filed two such complaints this month with one complaint being filed on May 29, Monday and another one a week ago. The Panchayat Development Officer (PDO) of the GP filed a complaint with the Ullal police against Puneet G. Mada for dumping garbage in the Bhandarabail area at 8.30 a.m. on Monday using his vehicle. The PDO also wrote to the Assistant Commissioner of Mangaluru sub-division to take action against him under Section 133 (public nuisance) of the Code of Criminal Procedure, 1973. As a third step, the PDO wrote to the Regional Transport Officer (RTO), Mangaluru, to take action against him under Section 177 (contravention of traffic rules) of the Motor Vehicles Act, 1988. In a press release on Monday, M.R. Ravi, ZP CEO, said that earlier the PDO of the same panchayat failed a compliant against the owner of a tractor for dumping waste near a bridge in Munnur. 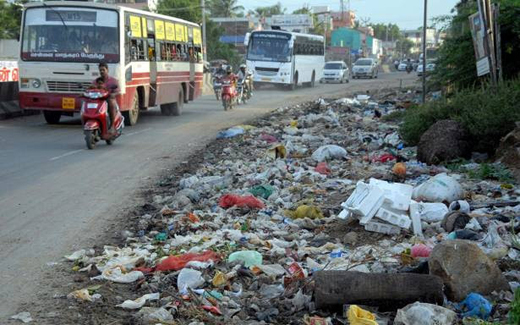 The complaint was filed in the court of the Assistant Commissioner of Mangaluru sub-division on May 19 seeking action against the owner under CrPC, 1973, for dumping the waste on May 16. In addition, the PDO wrote to the RTO to impose fine under the Motor Vehicles Act, 1988. CEO Ravi told media that the ZP has been forced to resort to such measures as the Karnataka Panchayat Raj Act does not empower panchayatraj officials to book such persons under any specific sections under the Panchayat Raj Act. The ZP has formed a mobile squad to check the dumping of garbage on the sides of highways under its jurisdiction. It is to be noted that the Ramakrishna Mission Mangaluru, held a brainstorming seminar for all DK and Udupi Panchayat representatives and PDO’s on May 28 Sunday on the modalities of taking "Swacch Abiyan" to the rural areas after it has completed 400 abiyans in 30 weeks. Many prominent people addressed the well organised and attended seminar. ZP CEO M R Ravi too spoke at the seminar on taking the efforts forward. Why don’t we understand the fact creating such an ambience we our self will be cause for many diseases.